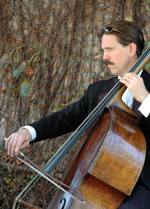 - We have provided music for over 100 weddings ! 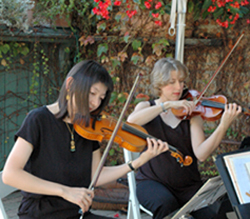 Most of our service requests for weddings are for String Quartet, String Trio and Piano Trio, but we take custom requests as well. 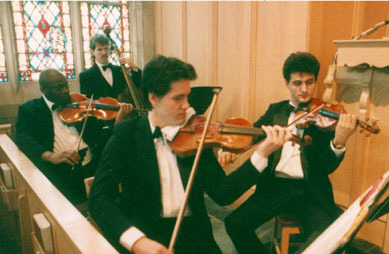 For wedding ceremonies, we have provided as large as an 18 piece orchestra including winds, brass, harp and piano. If you have a special request, please give us a call to discuss your needs and ideas. Private Events: We have provided music for an assortment other types of private events, include holiday parties, graduation parties, private concerts and birthday parties. Note: Refer to the Audio Samples section to hear actual Amadeus Consort recordings. These audio samples listed on this page are primarily melodies only (heard hear on organ) and are intended for simply reference. Beethoven - Ode to Joy - from the 9th Symphony, i.e. "Joyful, Joyful, We Adore Thee..."
Clarke - Trumpet Voluntary in D - also know as the "Prince of Denmark March"
Handel - Air - from "Water Music"
Handel - Hornpipe - from "Water Music"
Mendelssohn - Wedding March - from "A Midsummer Night's Dream"
Wagner - Wedding March - The Bridal Chorus from the opera "Lohengrin"
NOTE: These are suggestions and are here for your convenience only. You are NOT restricted to these set lists. Feel free to make your own list, or let us help you put together a list for your particular needs. also know as the "Prince of Denmark March"